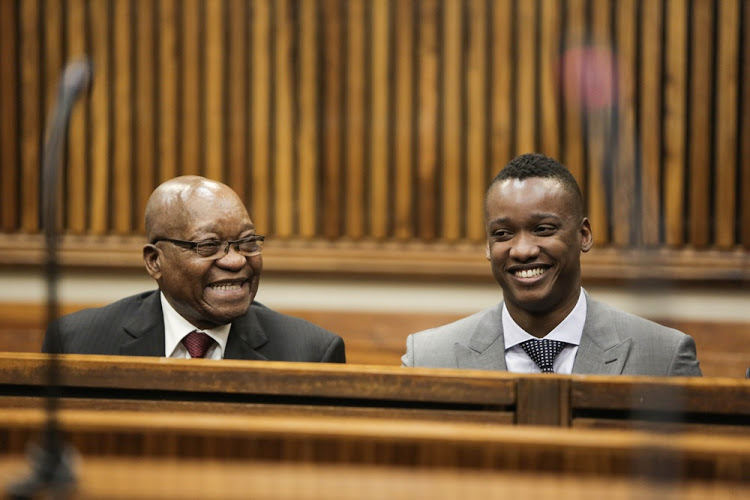 Former president Jacob Zuma arrived at the Randburg Magistrate's Court on Thursday for his son Duduzane's appearance on two counts of culpable homicide. They arrived together, and Zuma took a seat in the gallery. He laughed and cracked jokes with journalists in the courtroom. At Duduzane's last appearance in July, the case was postponed for the disclosure of inquest proceedings and content of the docket. Duduzane was summoned to court after the National Prosecuting Authority decided to go ahead with prosecuting him after declining to do so in July 2014, citing insufficient evidence. The case relates to a car accident that occurred in February 2014, when he crashed into a taxi after losing control of his Porsche on the Grayston Drive off-ramp on the M1 north of Johannesburg. A second woman, Jeanette Mashaba, died a couple of weeks later. However, during the inquest it was found that her death was not a result of the accident and that she died in hospital of natural causes. 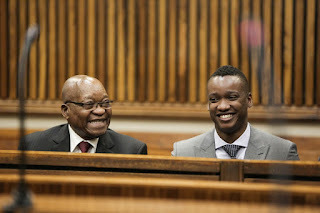 There has been no response to "Duduzane Zuma & his father, former President Jacob Zuma ahead of his court appearance"